song of Team USA at the 2016 Rio Olympic Games! September 19, 2018: New EP "Coordianates" Coming September 21st! The sibling trio is moving away from their traditional country and brief pop sound for this new project, and describes the sound as "unapologetically electronic". The EP was produced by Rick Rubin. The Band Perry have officially gone pop. At the beginning of February, TBP announced the release of their first pop album, My Bad Imagination. No release date has been announced yet. It is expected sometime in 2017. TBP have also released their new pop single, Stay in the Dark. The song was written by Kimberly, Reid, Neil, Jenna Andrews, and Benny Cassette. You can buy it on iTunes or Amazon. It is finally here! The Band Perry are releasing a new single, called Comeback Kid, on August 1st. This will be the first single released by The Band Perry’s new record company, UMG Nashville. Not much information is out there about the song, but it appears that Jon Bellion may have co-wrote it and Benny Cassette was involved with production. It will have been almost a year since the band has released a new single, the last one was Live Forever released August 14th, 2015. In the meantime, get prepared for #COMEBACKDAY and be sure to check out TBP's various social media accounts for more previews of what looks to be the music video. 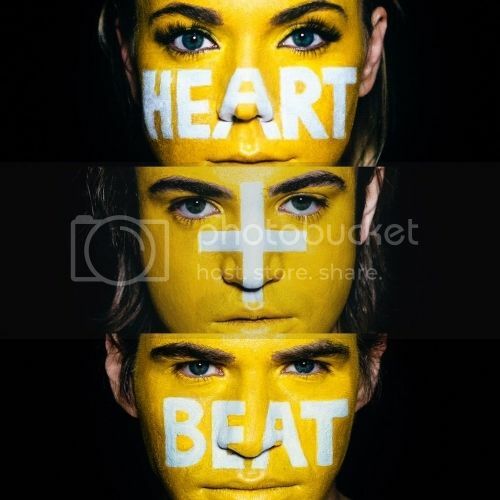 According to Sounds Like Nashville, The Band Perry’s planned third album, Heart + Beat, has been “shelved for the time being”. But have no fear! New music is just around the corner, according to Kimberly: “We are so excited to get our new single on country radio, its right around the corner”. The Band Perry are going through a transition period having just signed a joint deal with Interscope Records and Universal Music Group. The deal will allow TBP to release music on country and pop radio. The Band Perry has been in and out of the studio working on new music. Benny Cassette (Stay in the Dark co-writer), tweeted in reply to Neil “@theneilperry nothin, been workin on your record”. It seems likely this new project will be a combination of brand new songs and songs meant for the original third record. Still no word on a released date or title for the album or the single. New music alert! The Henningsens, a group that TBP wrote with extensively on their debut album and Pioneer, have released a new album titled World’s On Fire. Be sure to support this amazingly talented group and buy the album on iTunes or in their store. A new song, The Good In Me, which Kimberly co-wrote with Jon Bellion and Mark Williams (also co-writers of Best One Yet and Put Me in the Game) has been released. It is on Jon Bellion’s new album, The Human Condition, labeled under the genres hip hop, alternative R & B, and pop rock. You can find the song on iTunes, Spotify and (most likely temporarily on) YouTube. The song is dark – it is about cheating: “You know that he trusts you / and I know that he loves you / but somehow you convince me again”, “My foundation rumbles and all my morals crumble”, and “One temptation sparked this / Now I feel the darkness”. The chorus is “Your heart’s a vine that I’ve been trying to climb / You’re making a ruin of me / Try to survive keep my spirit alive / But like a knife in the woods you hunt down the good in me”. This song is different than anything we have heard before from Kimberly’s previous songwriting repertoire. Your #1 source for news, photos, & everything else about the family band, The Band Perry. This is just a fan site for TBP, not the official website. If you have any suggestions for the site, news tips, or photos of TBP, feel free to please contact us. Which song from Heart + Beat is your favorite? The Band Perry will be releasing their third album, Heart + Beat in the upcoming year. Since August I have been keeping track of all the information I could find about it. Find potential songs, producers, collaborators and everything else you could possibly need to know about Heart + Beat. Buy the new single iTunes, XBox Music, or Amazon. Layout: #6, made by Amanda.